The most basic security measure, a large fence will act as a clear deterrent to any potential criminals. 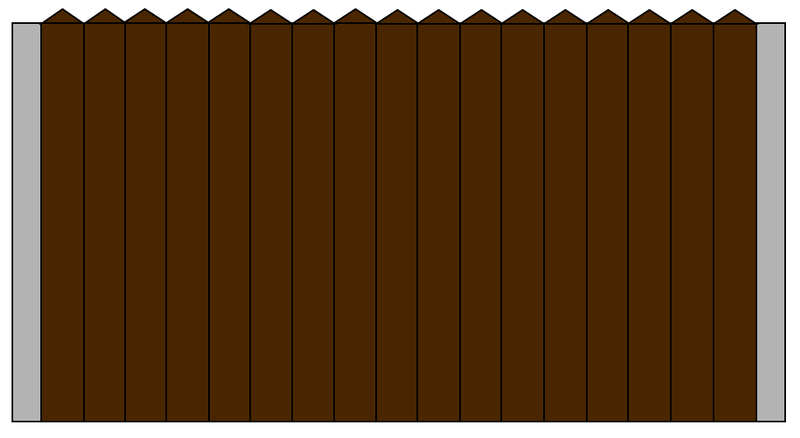 As a further deterrent, add some wooden trellis along the top of the fence. However, you should avoid using barbed wire or broken glass, as if someone gets hurt, you will be held responsible regardless of the situation. In addition to the fences, it would also be a smart move to plant some prickly bushes underneath. However, these bushes should be placed smartly – don’t plant them in areas where they will block sight of a window, as then they could be used as cover by burgulars. Similarly, avoid flowery bushes that are big enough to conceal someone inside, as they could be used as a hiding place for someone hoping to scope out your home. To complete the perimeter, install a hard-to-scale iron gate, and lock it was a sturdy padlock. Further more, outdoor motion activated lights are also a good addition. And you need not worry about electricity costs – solar powered lights are available. And finally, don’t make it easy for the burgulars – keep your possessions locked up, either in sheds or in your home.